Saturday, November 26 governorship election in the state. According to a statement by the president adviser (Media & Publicity) Mr Femi Adesina stated that. Committee, Governor Simon Lalong of Plateau State, and all party faithful who put in their best and braved the odds to ensure a successful outing for the flag bearer. election. The unity and resilience of the party was tested. I am happy we came out of this victorious. 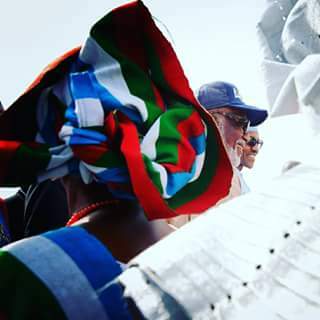 election to see the triumph of Chief Akeredolu as the wish of God and enjoined them to work together with him to make the state a truly progressive and economically prosperous one for all. As the Governor-elect prepares to assemble his team, and bring the much desired CHANGE to the people, President Buhari urges him to put behind whatever Acrimonies may have arisen from the electioneering process, and reach out to all well-meaning people in the state and beyond, to implement his vision. and there will be no let-up "until we see the great nation of our dreams in all spheres of national development."